Fahrrad-Cast - cycling, science and other stuff. 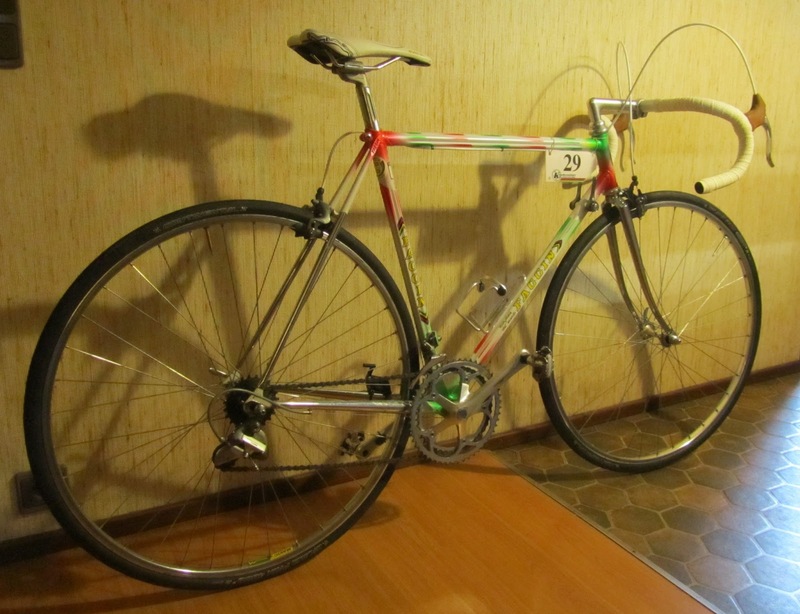 After many months of searching and patience, awaiting the right components at the right price, the Faggin was deliverd to Esch Bikes, Seelscheid, for Frank to work his magic. 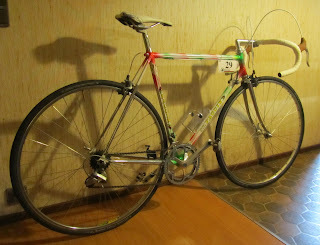 New, well old, wider handlebars: Early 1980's Cinelli Campione del Mondo, 44cm. purely a comfort thing as the original bars were far too narrow for my manly shoulders. 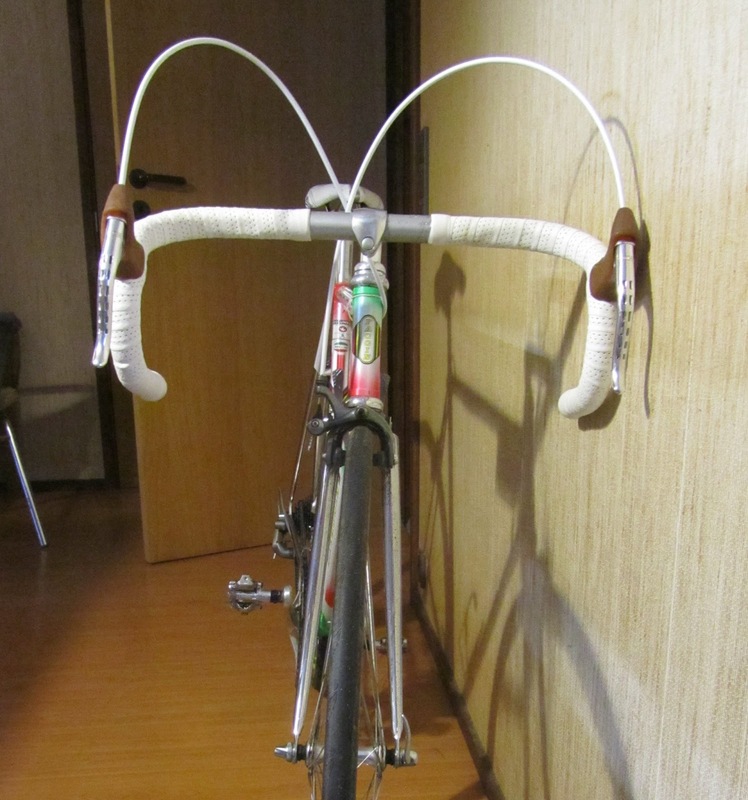 Funky, rakishly loopy, brake cables, white. Many hours of debate about the arc and cable position were had. Further changes may take place as I will, at some point, go all Euro and swap the front and rear break lever sides. This should allow for a more pleasing fit. 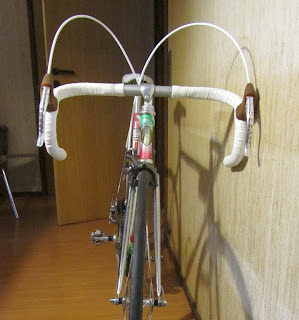 New, white, bar tape: Fizik. And a rather fetching mid-70's Cinelli quill stem, found by Frank's mum in their former storage keller. Much appreciated Frau. Esch. Again, this was for comfort and riding position. I needed a much longer stem than the original. As you can see from the photo's, Frank Esch, a highly skilled mechanic and former two-time German cyclocross champion (with three World Championship appearances), did sterling work. A beautiful job. Many thanks Frank & Birgit. If you are in the area please visit their excellent shop, you'll not regret it. 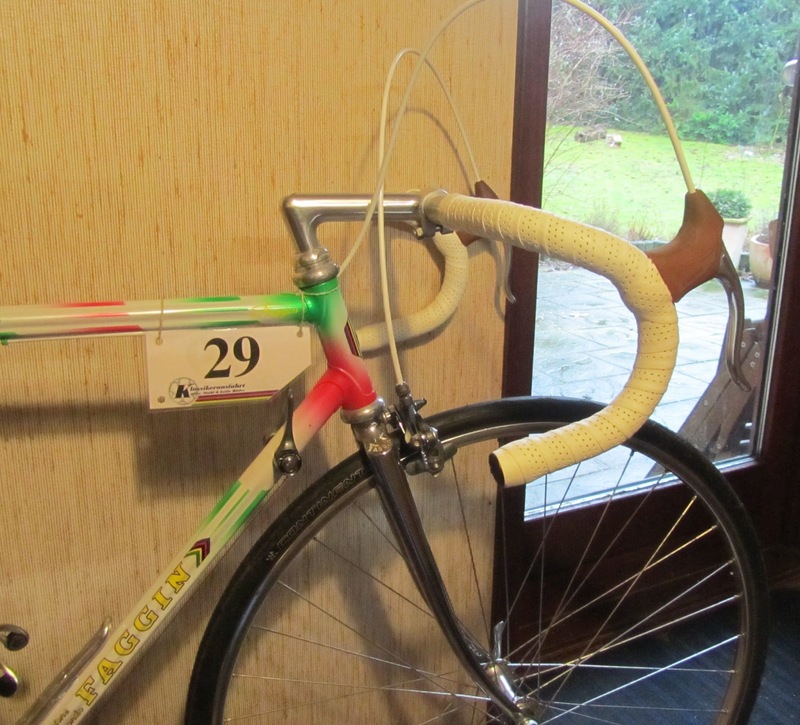 Almost ready for the Retro Ronde and, fingers crosse, l'eroica. Just the saddle, bar end plugs and a thorough clean and polish to go. 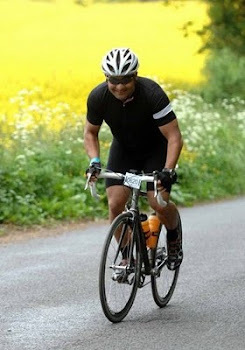 Review – Cycling Turbo Training for Beginners by Rebecca Ramsay : CyclingShorts. The 2014 season is afoot - classics, cobbles, charity and a childhood dream comes true. It's steeper than it looks!